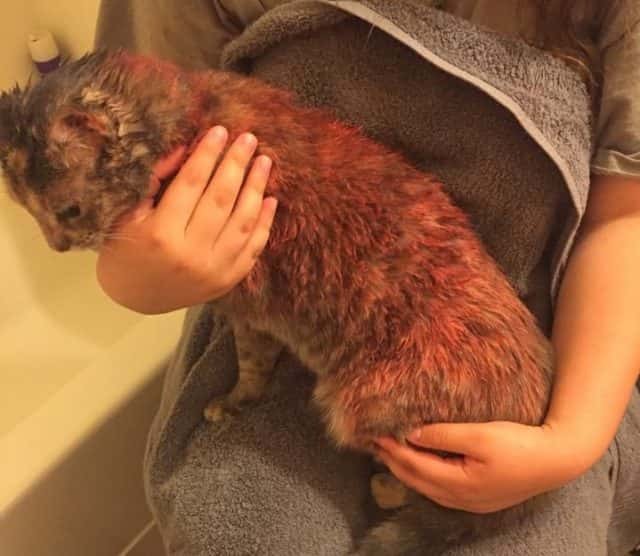 PORT ANGELES – Jessica Wright of Port Angeles says her cat Louise came home last night covered in pink spray paint. Wright lives in the area of 11TH and C streets on the west side of town, only a few blocks from Shane Park, where a mutilated cat was found last month, seemingly displayed, along a trail. Wright says she has a tall fence around her back yard, but that sometimes Louise manages to get over it for short periods. She said she posted the story on social media to give her neighbors another reminder to watch their pets carefully. Wright also says she’s not giving up.